Once you make this gluten free Bundt cake, you will never need another Bundt cake recipe again. The perfect consistency that is light and airy with the added almond cinnamon lemon swirls makes this recipe a winner. Most Bundt cakes are made with a lot of butter making them heavy and high in calories. In this recipe instead of butter, it is made with buttermilk and olive oil making it a healthier option. This lovely dessert is baked in a Bundt pan giving it a distinctive shape and creating a beautiful presentation. 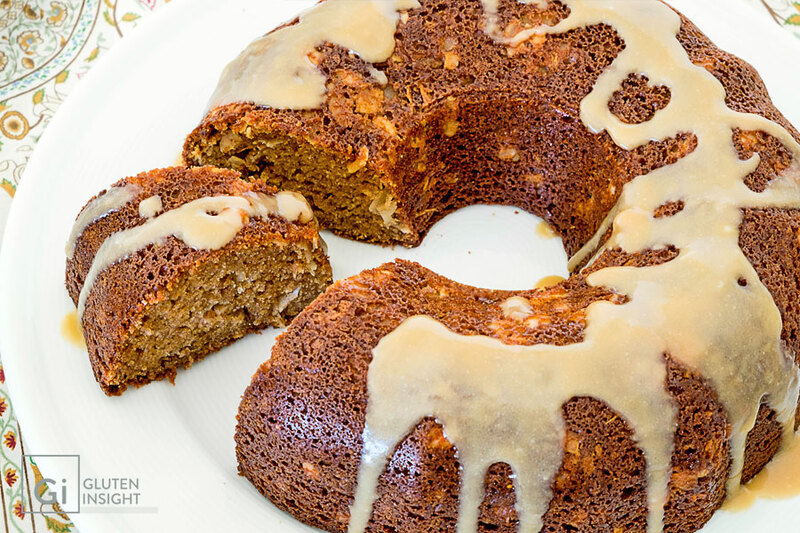 We have added a simple caramel sauce to this Bundt cake making this dessert even more special. Serve as is with afternoon tea or add caramel sauce and enjoy it as a fancy dessert. Stopping at one slice is almost impossible because this Almond Twirl Bundt Cake is so amazing. Preheat oven to 350 F and spray or grease a 12 cup Bundt pan with non-stick coconut oil.